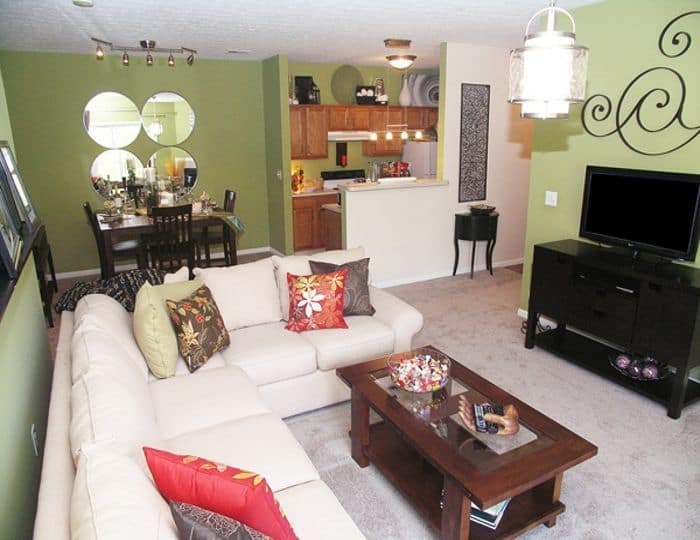 With nine different 1, 2 and 3 bedroom styles, we are confident that we have the apartment you have been looking for in Centerville, OH. Our apartments feature roomy, open concept living spaces, chef-ready kitchens, enormous private suites with expansive walk-in closets and ample outdoor spaces with either walk-out patios or balconies. Looking for a great office space or cozy reading or craft room? You will love our one bedroom with den and two bedrooms with den options. If you're looking for a two story, town house layout, you'll love our 3 bedroom townhome floor plan with an attached 1 car garage, your own private driveway and private entrance with cozy porch. No matter which style works best for you, be assured that we've utilized every square inch in our award winning apartment designs, which means you'll have no wasted living space in your apartment. We offer flexible lease terms, anywhere from three month leases all the way up to twelve month leases, with the option to go month-to-month once your first lease expires. 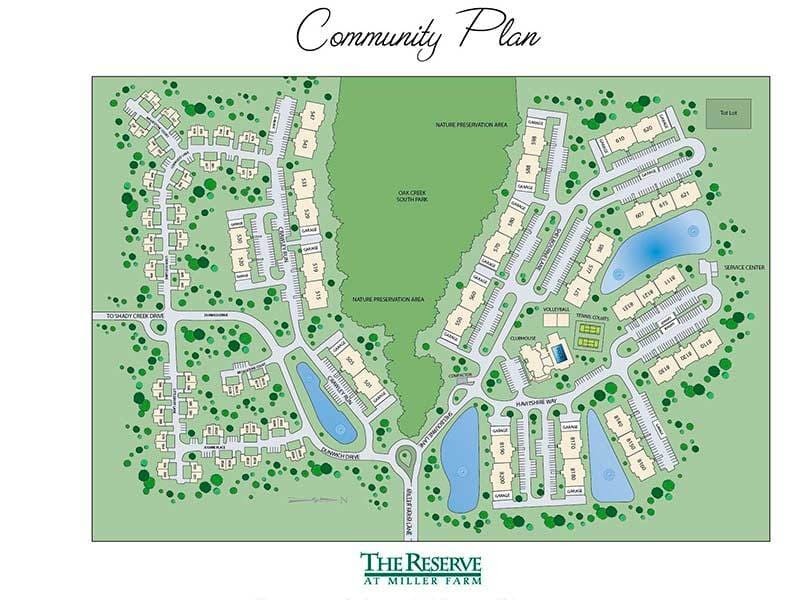 If you are ready to call The Reserve at Miller Farm home, we would love to show you our beautiful community. Call today and schedule your personal tour!